Ten diaspora restaurants across three continents signed a memorandum of understanding (MoU) with the Tourism Ministry during the 2018 Tourism National Coordinating Meeting in Bali on Friday as part of their support for promoting Indonesian tourism. 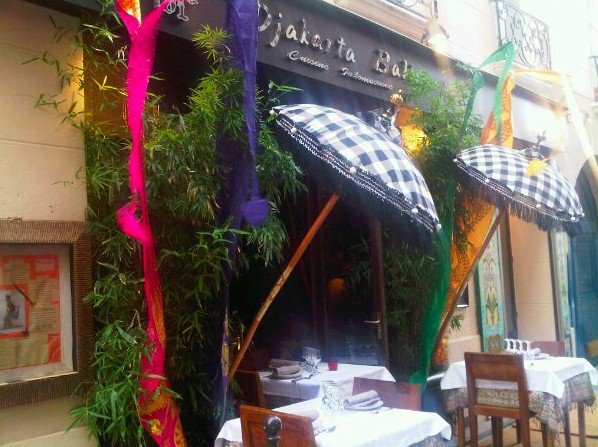 Among the restaurants were Gastrobar Indonesia in Amsterdam, Netherlands, Djakarta Bali in Paris, France, The Yono's Indonesian Fine Dining in Albany, United States, Kasih Restoran in Los Angeles, WIN (Wonderful Indonesia) Grill and Gastrobar, Fluffy lamb in Perth, Australia, Sendok Garpu in Brisbane, Ubud Resto di Sydney, Sari Ratu in Singapore, and Bumbu Desa in Kuala Lumpur, Malaysia. The already popular brands will soon put the Wonderful Indonesia logo on their establishments and provide promotion media for Indonesian tourism. They have also agreed to promote five national foods designated by the Tourism Ministry, namely rendang (beef simmered in coconut milk), nasi goreng (fried rice), sate (grilled meat skewers), soto (aromatic soup) and gado-gado (mixed vegetable salad with peanut sauce). “These restaurants will be added to a special website dedicated to this partnership program, wonderfulindonesiarestaurant.com,” said Tourism Minister Arief Yahya. The ministry’s shopping and culinary tourism acceleration team head, Vita Datau Mesakh, was optimistic that Wonderful Indonesia would be able to maintain its lead over its main rivals in Southeast Asia, Malaysia Truly Asia and Amazing Thailand.